Let's go history adventuring to the future of Glendale, Arizona. We're looking waaaaayyy back to July of 2016, when the Legacy Traditional School was under construction at Thunderbird Road and 67th Avenue. Well, the the school isn't really at Thunderbird Road, it's way north of it, but since there's nothing there but any empty lot, people are describing it as 67th Avenue and Thunderbird. 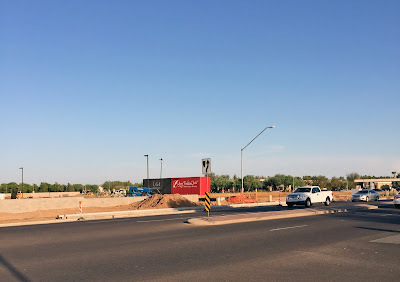 The view at the top of this post, by the way, of mostly nothing is looking southeast towards Thunderbird on 67th Avenue. The gas station way back there is actually on Thunderbird. The school is to the left, so it's out of the frame of the photo. Yeah, I like to take photos of absolutely nothing. 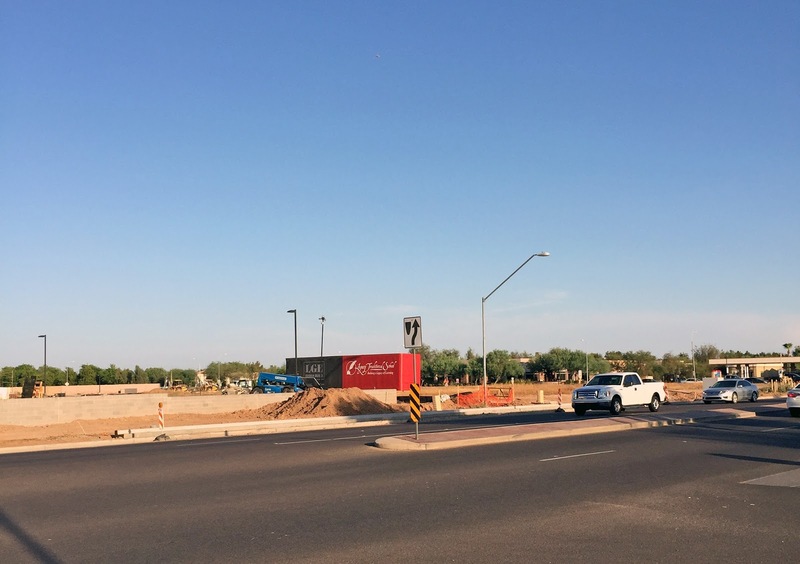 In the future, they will be as fascinating to people as photos of buildings under construction in Phoenix in the 1950s when they were surrounded by absolutely nothing. 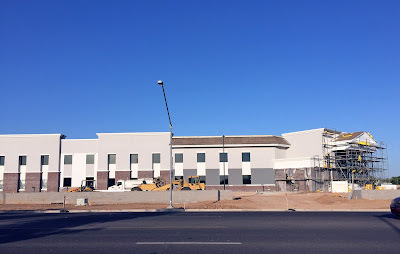 In the future, people who have graduated from the Legacy Traditional School in Glendale will enjoy seeing it under construction, way back when, because to them it will have been there "forever". I hope they find these photos, and enjoy them. And I'm sure they'll tell the young folks how things were so much better "back in the day", way back in 2016.